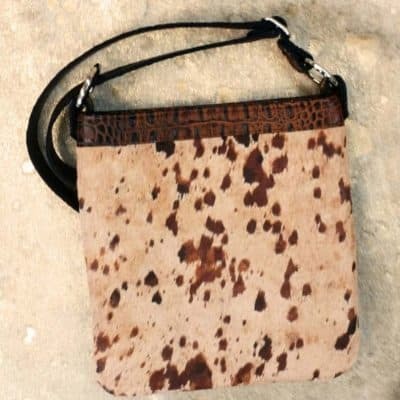 The perfect grab and go bag handy for all the essentials for women on the move. 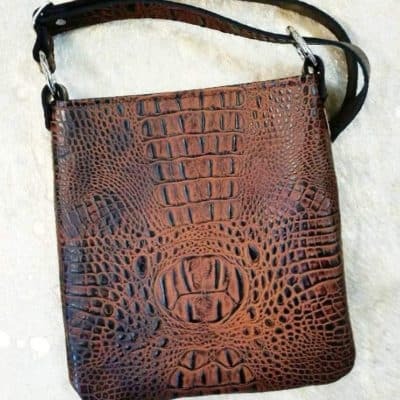 Trimmed in embossed butternut crocodile, the bag fronts boasts an ample swatch of genuine hair on hide in white and brown. 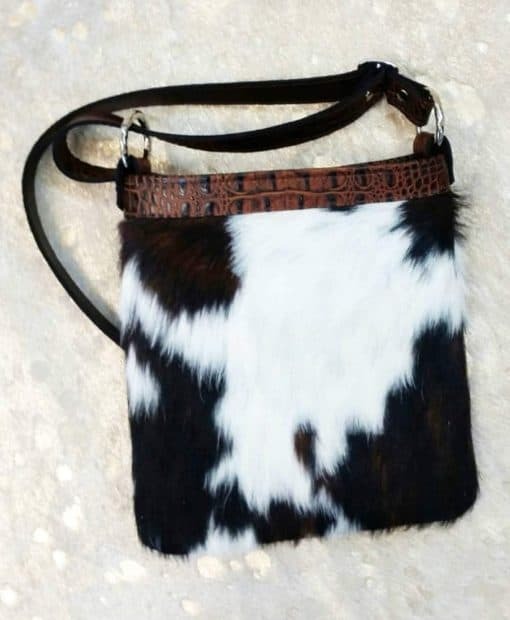 Fully lined, interior pocket and back pocket to keep necessities right at your fingertips.